Penetration and distribution of biologics can depend on a variety of factors, such as tissue density, antibody affinity, antigen density per cell and physico-chemical properties. 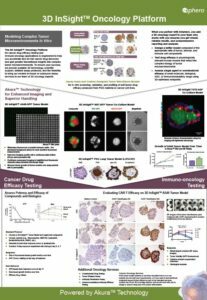 The spherical, 3D structure and more native ECM and biology of 3D InSight™ Tumor Microtissues makes them ideal for assessing penetration of antibodies and engineered antibody fragments in vitro. 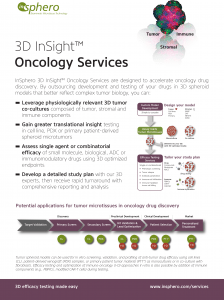 Download our Oncology Services brochure for more details. 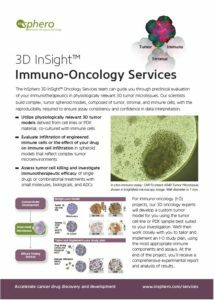 with services using our advanced 3D tumor models.